So what is shea butter exactly? I’m sure that you’ve heard of this magnificent ingredient sometimes touted as the superfood or a must have ingredient in cosmetics, specifically in skin care and hair care, and everyone around you have been saying that it is the best healing product for skin, and the best moisturizer. I’m sure you’ve come across picture of a tin of 100% organic shea butter product in every women’s or cosmetic magazine. Shea butter is fat extracted from the nut of the African shea tree, which is slightly yellowish or ivory in color. It is a triglyceride (fat) derived mainly from stearic acid and oleic acid. Shea butter is sometimes known as the “women’s gold”, because majority of the rural African village women get their daily income from extracting the butter from the nuts as their employment service. It is widely used as a moisturizer, lotion or salve in the cosmetics industry. In Africa, some food incorporates shea butter as it is edible. So, what is shea butter made from? Apart from the butter itself, there are a few traditional steps involved in preparing unrefined shea butter. 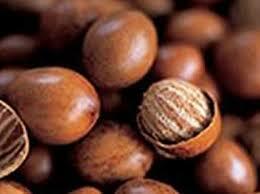 The first process is to separate or crack the nut, which is the source of the shea butter, from the outer shell. Traditionally, this is a social actuvity done by Women Elders and young girls of the village sitting on the floor using small rocks to break the shells. Next, would be to crush the nuts to make them into butter. This is done traditionally by using mortars and pestles and grinding the nuts so that they can be roasted. The crushed nuts are then roasted in huge pots over wood fires, and the stirring must be done consistently to aovid the butter being burnt. It is hard work as the butter is heavy and the stirring work is hot and smoky, done under the sun. The roasted nuts are then ground into a smoother paste, with gradual addition of water into the paste in which the paste must be mixed well by hand. After that, water must be separated from the oil. To do that, the paste is kneaded and water is added to help separate out the butter oils. The butter oils which are now in curd state will float to the top, and this will be removed, with the remianing excess water squeezed out. The curd will then be melted in large open pots over slow fires which will cause any remianing water to evaporate. The last step would be to shape and collect the shea butter. The butter at this point will be creamy or golden yellow is cooled, and then formed into balls. In the cosmetics industry, shea butter is widely used in hair and skin related products, and also in soap products. 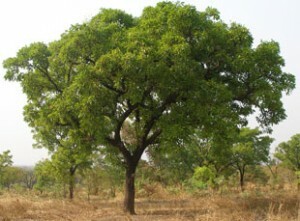 Shea butter is also used as a base ingredient in medicinal creams and ointments, and is also used in sunblock lotions. Now that you know what is shea butter used for and the shea butter benefits, you will not be in the dark when you come across the super ingredient the next time around.